We board: Rabbits Guinea Pigs Reptiles Hamsters, Mice etc. I have experience with rabbits as i have had one myself and absolutely adore them. I understand each one has a unique personality and i want to get to know all the bunnies out there and share my love with them! I have also had hamsters, chinchillas and guinea pigs so i have experience with small pets. i have cages of medium and large sizes (indoor and outdoor). They will have all my attention, and be kept warm and safe at all times! 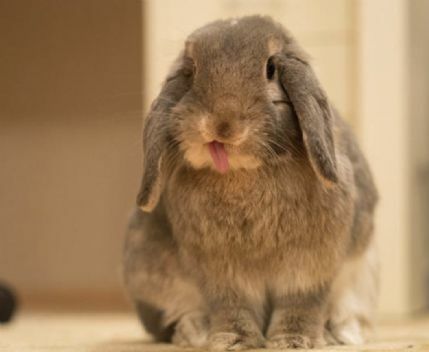 I know they need lots of energy and play time, therefore rabbits have a whole upstairs floor of my house to enjoy (which is safe and rabbit proof), and as for enjoying the whether if it is a nice day, there is a safe terrace/balcony they can enjoy and bounce around on while getting fresh air. For smaller pets I have a smaller pet-proof room for them to run around in. i have access to 24/7 hour vet in any case of emergency. Cages will be cleaned regularly. Any medication that is needed i can give regularly if provided. I can pick up/drop off your pet with extra charge which will vary depending on the distance of each journey. Joelle took very good care of our bunny Archie. Everything was great. We can highly recommend Joelle! I have used Bunny Paradise twice now and I couldn't be happier! Joelle was lovely and gave my 2 bunnies Harley and Pumpkin so much love and attention and they came back very happy. She kept us updated while we were away and we were very reassured and please. Will definitely be coming back to Joelle from now on and would highly recommend to all! Joelle took brilliant care of our rabbit Cookie and kept us updated with pictures. She even accommodated a late collection after our flight home was cancelled. We can highly recommend her. Nearest station is Golders Green or East Finchley. If travelling may be an issue i can pick up and drop off, depending on the distance.